The Yaba College of Technology, YABATECH HND Full-time Admission List for the 2018/2019 academic session has been released and is now available online. WE are using this platform to inform the general public and most especially all the candidates that applied for admission into the Higher National Diploma (HND) full-time programmes of Yaba College of Technology (YABATECH) for the 2018/2019 session and participated in the screening exercise that the list of admitted candidates has been released and published on the college’s portal. YABATECH HND Full-time admission list has been uploaded online, and it is accessible on the polytechnic admission status checking portal. Step 1. Goto the college portal at: http://portal.yabatech.edu.ng/appresults/admissionchecker.cshtml/. Step 3. Click on ”Submit” button to access your admission status. * All admitted candidates should pay the Acceptance Fee of Twenty thousand Naira (N20,000.00) only, within two (2) weeks of this publication. * Newly admitted candidates are advised to lookout for the schedule of screening on the College Portal and Notice Boards in the College. * Any candidate who fails to appear for screening within the stipulated period will forfeit the admission. Congratulations to all admitted candidates. Please click on the twitter/Facebook like buttons to share this news with friends. Please I got admission into hospitality management department(HND Full-time). But I proceeded to pay my acceptance fee, I was told I have not been admitted yet, and I have been checking the school portal everyday all for me to be getting the same reply. Please what is wrong? Same here,I was given admission for mechanical engineering ( HND Full time),i tried to pay the acceptance fee,its telling me have not been admitted too,till now.please what can I do? I was given admission in Marketing part-time (HND). Please can I converted to full time Banking and Finance? HND? Please reply. You will need to visit the school to ask them if it is possible. I obtain yabatech hnd form and I don’t know maybe they do screening, pls did they do screening? We honestly do not know if there is going to be another list. Hello,I got Yabatech Hnd form and I’ve been checking my admission status it’s says not admitted yet please what could be the problem nd a friend of mine that had lower Mark than I do has been admitted.Pls what’s wrong? 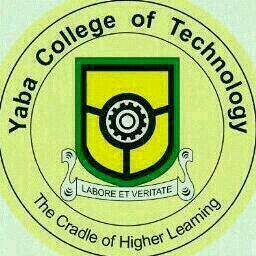 We don’t know the criteria they (YABATECH) use to admitted its students. Pls is HND second batch admission list out? Good morning ohh… please when will yabatech release their admission list for 2018/2019?????. We don’t know when the list (HND) will be out.